Roll out the Barrel: 6.5% Alcohol by Volume and 32 IBUs. Our Bock is a Helles Bock! A traditional Bavarian helles lager beer brewed to bock strength, therefore still as strong as traditional bock, but lighter in color and with more hop presence. Quality Supreme: The Bock is craft brewed in small batches at North American Brewery in Rochester, NY under the supervision of the award winning brewmaster, Sean Larkin from Trinity Brewhouse and Revival Brewing. Brewed with Light and Dark Munich malts, Pilsner Malt, and Malted Wheat. It is hopped with Northern Brewers and Hallertau hops. Northern Brewers is a clean bittering hop and Hallertau is a classic German aroma hop associated with Bavarian style lager beers. Winner of the Silver Medal in the 2011 World Beer Championship! 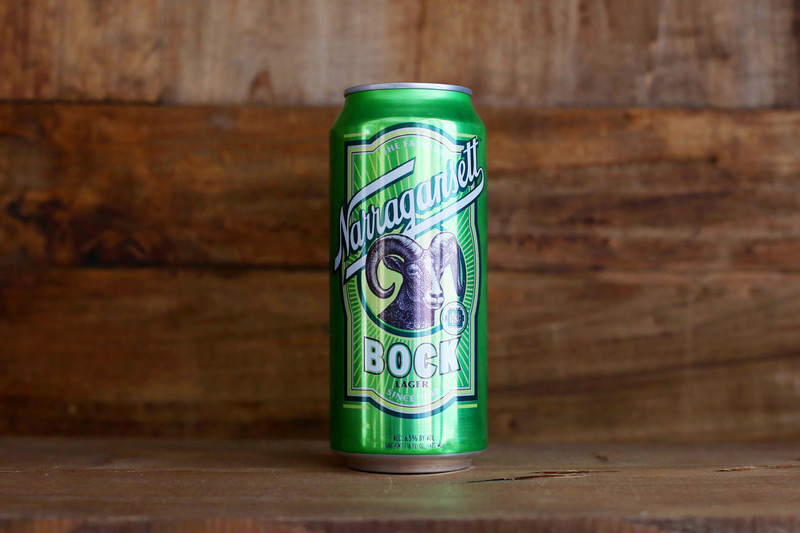 Taste & Enjoy: Gansett Bock is a deeply flavorful beer with a rich golden color and a full body. It is drier, hoppier, and slightly more bitter than a traditional bock, but still with a relatively low hop flavor. It offers an extremely approachable craft experience not to be confused with the double and triple bocks out on the market. The beer pours well, producing a large creamy, persistent white head, and moderate carbonation. Despite its full body, the flavor is not overly malty and delivers an elegant spicy character from the hops that produces a balanced, smooth finish. 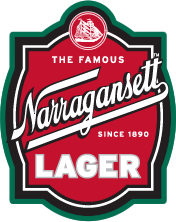 The History: Narragansett Bock made its debut on February 8, 1912 and quickly rose in popularity thanks to the Bock Beer Festivals that were held on the brewery’s grounds every spring (until that one day in the ’70s when things got way out of hand). If you’re wondering why there’s a ram on the label, it’s because “bock” is German for billy goat or ram. However, some say that the name Bock came from the town of Einbeck in Germany where the style originated, some say that the name was a reference to the billy goats coming down from the mountains in the springtime (the time of year when this particular style of beer was traditionally brewed), and still others claim that the term was simply used metaphorically to reference the strength of the beer. One thing is for sure, Bock is definitely NOT just the beer that comes from the bottom of the barrel.